Netflix has taken their business model of introducing original programming to their subscribed masses seriously. 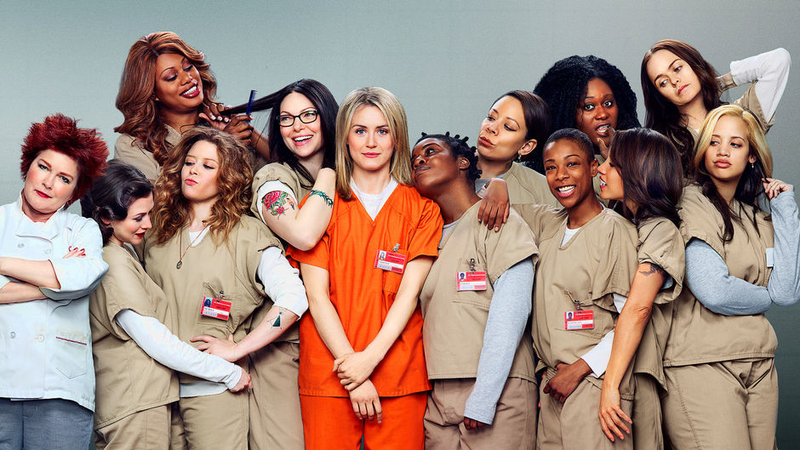 In 2013 the streaming network introduced ‘Orange Is The New Black‘ to a very receptive audience and it wasn’t long before they brought a second season to play. Before the third season is even available, the network has announced that it has renewed the lady-led prison story for a fourth season. While the series has been shut down for a Golden Globe, yet, the series has received more than 20 awards including 3 Emmy Awards, two GLAAD Media Awards, and two SAG Awards. The series has amazing actors, the characters are all big personalities that seem crazy to be linked to the same show, but it absolutely works. It’s a glorious collage of insanity that I just can’t get enough of. 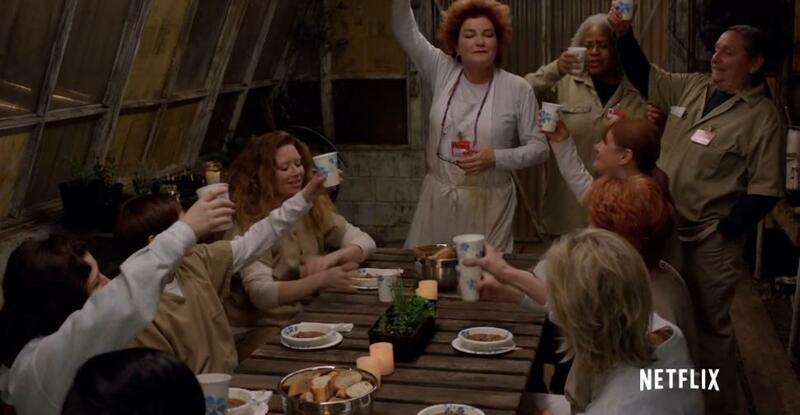 That success is in part to the memoir the series is based on and in part to the creator and showrunner Jenji Kohan. Kohan has another series, ‘Weeds‘, under her belt that I am absolutely in love with, so it makes sense that the same quirk and comedy I’ve come to expect from her, would be similarly interrupted by shockingly dramatic turns that demand your total attention. The actors involved are stellar as an ensemble and feature Taylor Schilling, Kate Mulgrew, Natasha Lyonne, Laura Prepon, Uzo Aduba and Taryn Manning along with a host of other actors that make the show the powerhouse it has become. While we have to wait until June for season 3, Netflix has been kind enough to give us a new clip to tide us over. This entry was posted on Wednesday, April 15th, 2015 at 3:05 pm	and is filed under News, Television. You can follow any responses to this entry through the RSS 2.0 feed. You can skip to the end and leave a response. Pinging is currently not allowed. « Zachary Levi Bringing ‘Geeks Who Drink’ To Syfy!! !